How Far is Natwest Mango County? 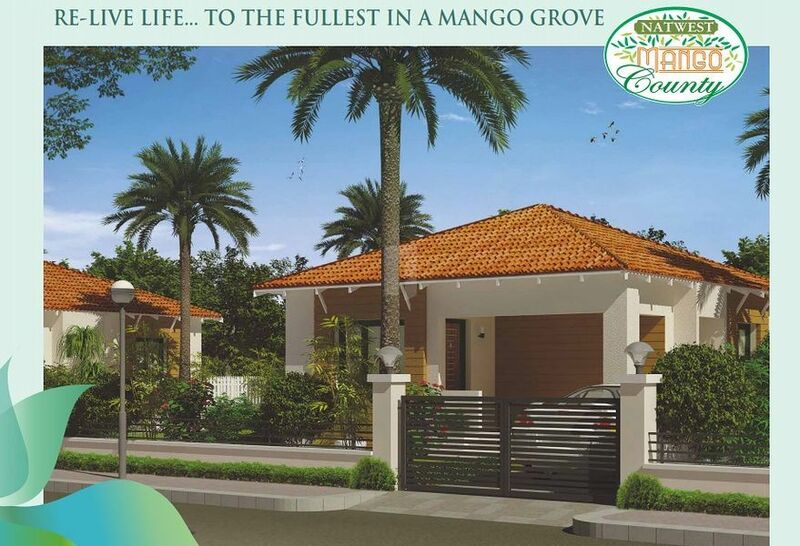 Natwest Mango County is an ORGANIC Farm spread over 80 Acres where we have Fruit yielding Mango Trees, Teak wood trees and Red Cedar trees which are more than 28 years old. The total area is hill locked two sides. A Joint family Guest House with 3 Rooms and a fully equipped Kitchen. Individual Villas with fully equipped Kitchen are also available, for our clients for the purpose of their stay with their families/friends. Surutupalli Temple and many more. Airport: hospital-10 Kms Railway Station: ATM-10 Kms Hospital: school-10 Kms A place of peace and privacy One of the popular residential development in Thiruvallur Near to Poondi reservoir 19 year old fully grown fruit yielding Mango trees, Teak and Cedar trees spread over these 80 acres land. We, at Natwest, having been in real-estate market for over 30 years, not only guide the customers to take right decision on investment in real estate, but also provide the customers more value for their investments. Natwest has delivered over 1 million Sq. .Ft. of residential and commercial space. More importantly, they have moved more than 1500 families to their facilities and have established themselves as a company that provides quality of construction, safety of investment and integrity of commitment.